According to the Insurance Information Institute lightning related damage cost homeowners in the United States of America over $1 billion in 2010 alone. Do you have adequate protection for your valuable electronics and appliances? We stand behind our systems. 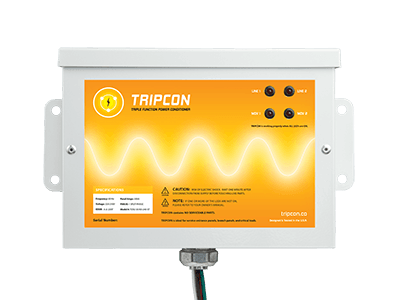 TRIPCON equipment is designed to sacrifice itself to save your sensitive electronics and when it does, we'll replace your units up to ten years down the road. If it fails to protect, we'll pay for damaged electronics and appliances, up to $100,000! TRIPCON is the perfect compliment to your investment in alternative energy. Every motor running in your home consumes reactive current to operate, but many do so inefficiently. When a motor uses current inefficiently, it is said to have a poor Power Factor, meaning that it wastes energy. Power Factor Optimization can lead to energy savings through reduced line losses, switching losses, and coupling losses. 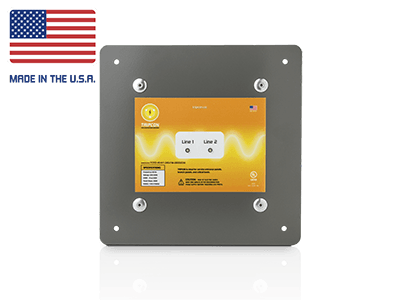 Six way surge protection to guard against surges & spikes both big and small for the most complete protection conceivable. Premium filtration of harmonics (noise) created by electronics and lights means better performance and longer useful life. If our products fail, for ANY reason, we’ll replace them during the first ten years. ANY reason. If a surge from your utility reaches your electronics or appliances, we’ll pay for them. Up to $100,000. We’re an American company located in Northeast Tennessee with multiple manufacturing facilities. 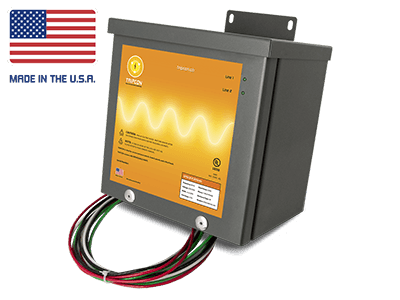 Our products are reliable, efficient, and affordable with Surge Protection, Harmonic Filtration, and Power Factor Optimization, extending the life of electronics and appliances and optimizing the use of electricity. All models are backed with a true 10-Year Unlimited Warranty and $100,000 Insurance Policy.